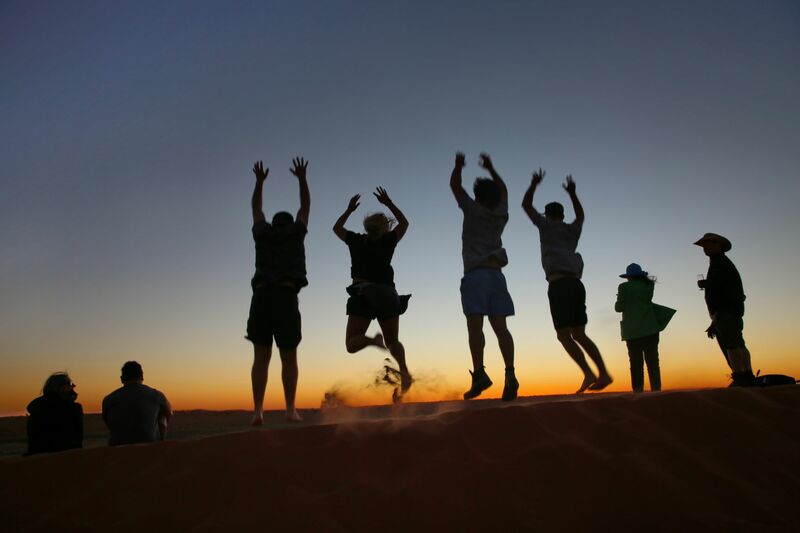 Experience a 12 day personalised tour to the Birdsville Races & visit numerous iconic Outback Pubs with KARRABEE Bus + Coach. Enjoy the exclusive company of a small group in air-conditioned comfort as you visit Australia’s real Outback and it’s people. Highlights of the tour can be found below with a full itinerary. Map - ***NOTE The route on Google maps shows incorrectly when local roads are flooded. Please see itinerary. The tour departs Amamoor at 7am with morning tea at Wondai and a visit to Jimbour House for a tour of the beautiful gardens. Lunch is at the Russell Hotel Dalby and we travel on through to Goondiwindi for the night. Accommodation & Dining at the famous Victoria Hotel. Travelling west we stop to view the Mud Baths at Eulo. Next stop is Thargminda where we stop at the Bulloo Hotel – The Home of Surley Shirley and no trip west is complete without a stop at the memorable Toompine Pub ‘The pub with no town’ population of 2. Lunch is at Quilpie where we also pick up necessary essentials before travelling further west. As we enter Windorah we view the Solar Power Station that saves the town 100,000 litres of diesel fuel per year. Entertainment on this night is Windorah’ s iconic International Yabby Races at Western Star Hotel. This quaint town swells from 115 to a couple of thousand as everyone is now on the road to Birdsville. The excitement and anticipation continues to build as we head to Betoota Pub opened in 2018 for the first time in over 20 years. The tour arrives in Birdsville in time for a cold beer and a yarn with a local at the famous Birdsville Pub. Accommodation for the next three nights is in Tent City where we wine and dine under the stars. 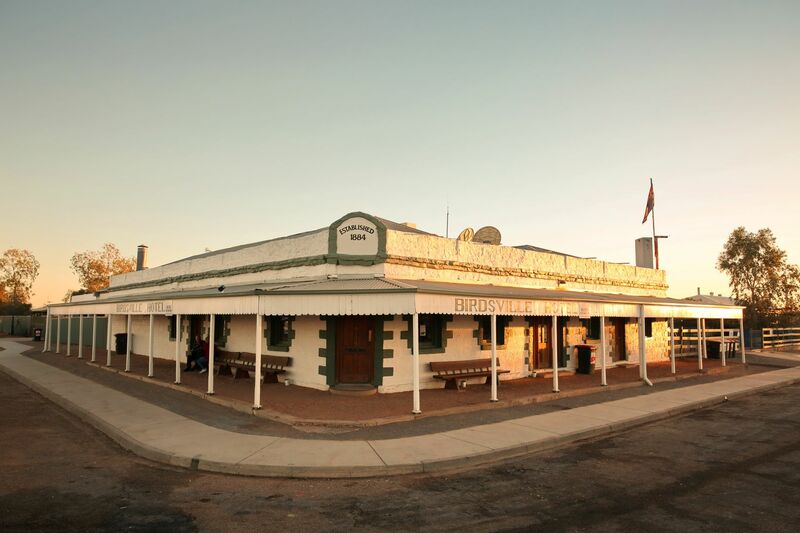 While touring the town of Birdsville view the Historic Outback homes, the Birdsville School, the Cemetery, & the Old Royal Hotel. A must do in Birdsville is to try the famous curry camel pies at the renowned and fully licensed Birdsville Bakery where you can of course enjoy a beer. There is an option on the Friday afternoon to visit “Big Red” to experience drinks as the sun sets over the Simpson Desert. Day 6 - Saturday 7th SeptemberIt's Race Day! 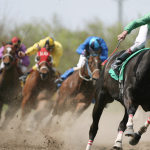 Put on your hats, dress to impress & place your bets…..
After a memorable weekend at the Birdsville Races we head north stopping at the Shoe Tree and then continue to Bedourie Hotel followed by a picnic lunch. 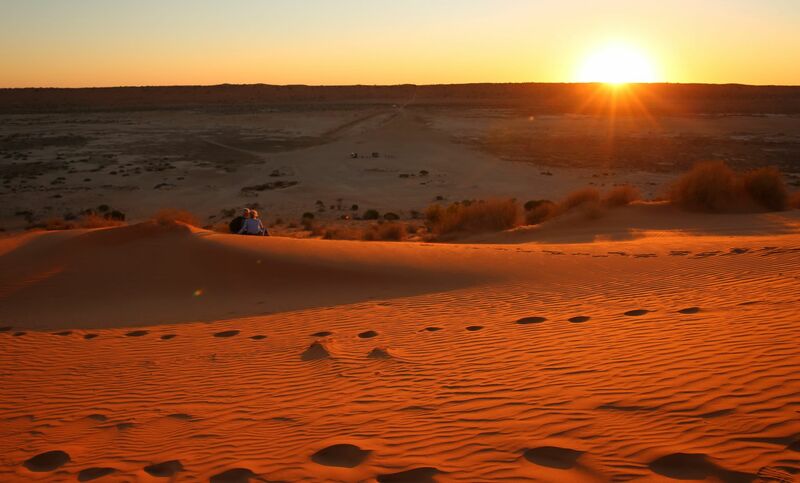 The accommodation on the night is at Dessert Sands in Boulia with a meal at the Australian Hotel. Breakfast today is at the Ruins of the Hamilton Hotel. Morning tea is at the memorable Middleton Hotel where you are given a photo opportunity with the larrikin publican before travelling to Winton. The visit to Winton includes the new Waltzing Matilda Centre, which was partly burnt down in 2015, and a tour of Age of the Dinosaurs. Everyone has the opportunity to play the Musical Fence. We are treated to a private movie screening at the Royal Open Air Theatre. Accommodation is at the Art Deco North Gregory Hotel and the evening meal is at the Tattersalls Hotel. 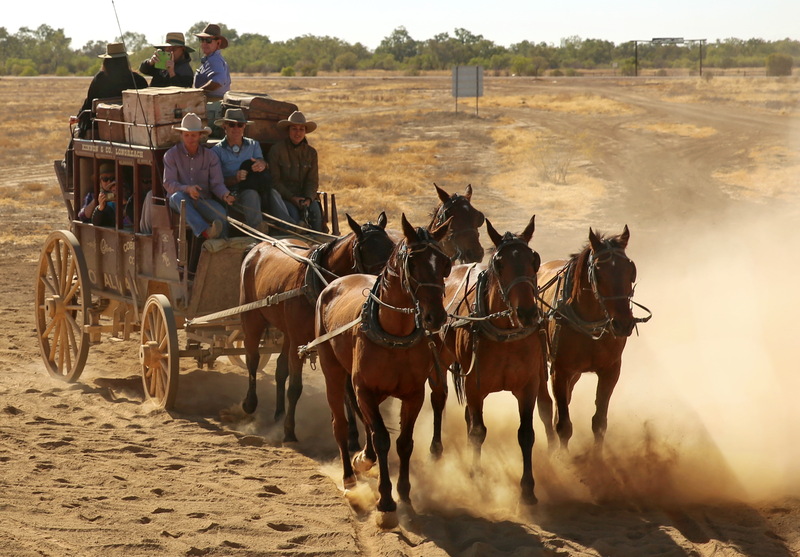 Before leaving Longreach you have the option to visit the Stockman’s Hall Of Fame and the Qantas Outback Founders Museum. We visit the Station Store, a fantastic emporium of outback products, gifts & souvenirs. Another option is the Cobb & Co Stage Coach Ride on the 30,000 acre Common after watching the Harry Redford Old Time Tent Show. The tour stops at Machinery Alley and the Wellshot Hotel at Illfracombe. 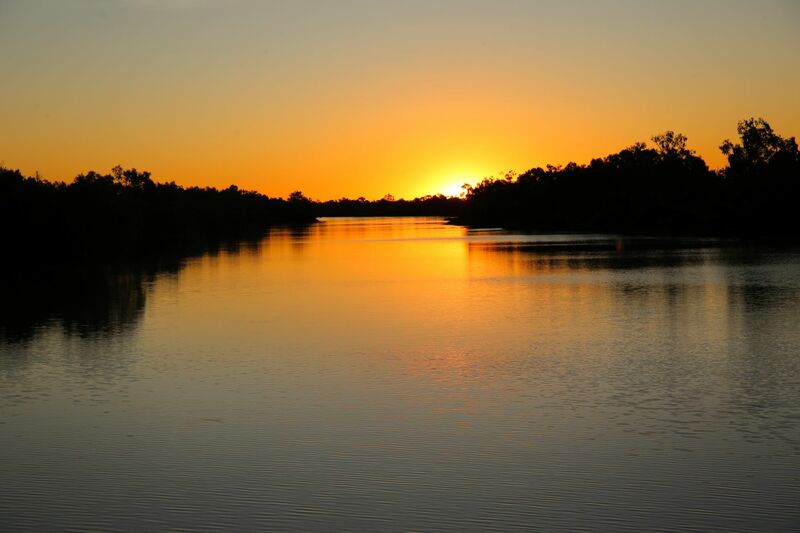 We travel to Barcaldine to see the Tree of Knowledge then on to Blackall for the night. Accommodation Acacia Motel. From Blackall the tour continues on to the quaint little town of Tambo which is well-known for the Tambo Teddies. We then visit Augathella’s Ellangowan Hotel, followed by an afternoon on relaxation at the Great Artesian Spa at Mitchell. Accommodation -‘The Barn at Mt Hope’ near Wallumbilla where bush rangers roam. On the last day we have breakfast & say goodbye to our hosts Lyle & Madonna Connolly at Bonus Downs Farmstay. 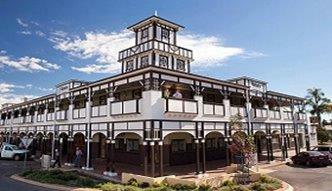 We travel through the townships of Mitchell & Roma with Lunch at the Windsor Hotel in Miles on to Chinchilla traveling through the South Burnett to home…..